On the 3rd of December 2017, controversial Venezuelan President Nicolás Maduro announced a surprising new initiative aimed at addressing Venezuela’s economic turmoil — the development of a state-backed cryptocurrency called the “Petro.” The announcement sparked international debate on the political, legal, and economic implications of the move. With the Petro crowdsale now live, many investors are asking: is it ethical to invest? Answering this question requires careful analysis Venezuela’s political and economic situation, as well as an examination of the technical architecture of the Petro itself. There appears to be a lack of consensus regarding the legitimacy of the Petro under international law, as well as conflicting or even outright falsified information on the performance of the Petro pre-sale. Understanding the controversy that surrounds the Petro requires a brief introduction to the current economic and political landscape of Venezuela. The Venezuelan economy is primarily driven by the petroleum sector, which accounts for more than 50% of the nation’s GDP. Oil reserves first discovered in 1922 resulted in Venezuela developing into an international petroleum powerhouse, launching it into the top 5 wealthiest nations per capita in the 1950’s. The 1980’s oil glut, however, sparked economic turmoil that catalyzed a rise in inflation levels that continued unabated until the election of President Hugo Chavez in 1998. The socialist and populist stance taken by the Chavez government along with a heavy reliance on the petroleum industry coalesced into an economic disaster for Venezuela when a combination of oil industry strikes, OPEC quota restrictions, and a suspension on foreign trading within the nation caused inflation to skyrocket. By 2013, Venezuela achieved the highest misery index score worldwide, entering an economic recession that placed the Venezuelan economy as the worst in the world. The election of President Nicolás Maduro in the same year saw a continuation of Chavez administration policies, resulting in the widespread civil insurrection that continues today. A series of US sanctions ordered against the nation by the Obama administration and, more recently, the Trump administration in response to human rights violations have contributed to runaway hyperinflation that is expected to reach 4,500% by 2021. The Venezuelan Bolivar is now at an all-time low and is worth so little that it trades at a loss against the virtual currency used in popular role-playing game World of Warcraft. The dire economic situation in Venezuela has driven widespread adoption of cryptocurrency within the country. Notably, the electricity is highly subsidized by the Venezuelan government to the point where it is virtually free, which has created an underground Bitcoin mining economy. 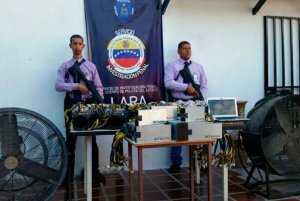 Under the current regime, Bitcoin mining is legal, yet reports of police arresting and detaining miners on spurious charges are commonplace. The high adoption rates of cryptocurrency by the populace of Venezuela has evidently brought blockchain tech to the attention of the Maduro administration, who have, in turn, co-opted it in an attempt to restructure the economic architecture of the nation. The initial coin model offering has demonstrated that startup organizations are able to circumvent traditional finance avenues by appealing to a global audience — Maduro’s Petro is an example of the same opportunism, albeit on a far larger scale. Wait — What is the Petro, and What Does it Do? Venezuela’s economic anarchy is at odds with the amount of readily available oil reserves the nation possesses — according to OPEC, Venezuela owns the largest volume of retrievable proved oil reserves. The Petro aims to capitalize on what is the only commodity Venezuela is able to offer the international market by tethering the value of one Petro token to the price of one barrel of Venezuelan crude oil— roughly $60 USD at the current market price. The Petro white paper outlines some of the basic functionality and technical specifications of the Petro — although these details have now changed over the convoluted launch of the Petro crowdsale. According to the white paper, the Petro will be issued as an ERC20 token on the Ethereum platform. This was changed in an unexpected last-minute shift to NEM Mosaics, which is functionally similar. 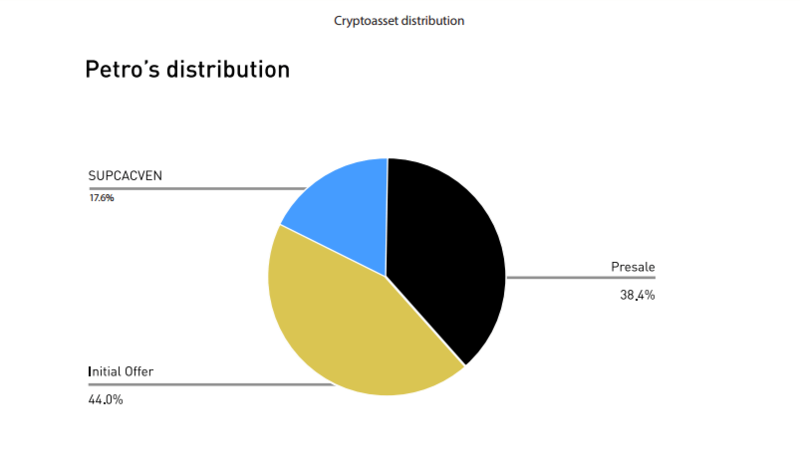 100 million Petro tokens will be emitted, with 38.4% available during the presale, 44% available during the crowdsale, and 17.6% reserved by Venezuela’s Superintendence of Cryptocurrencies and Related Activities. 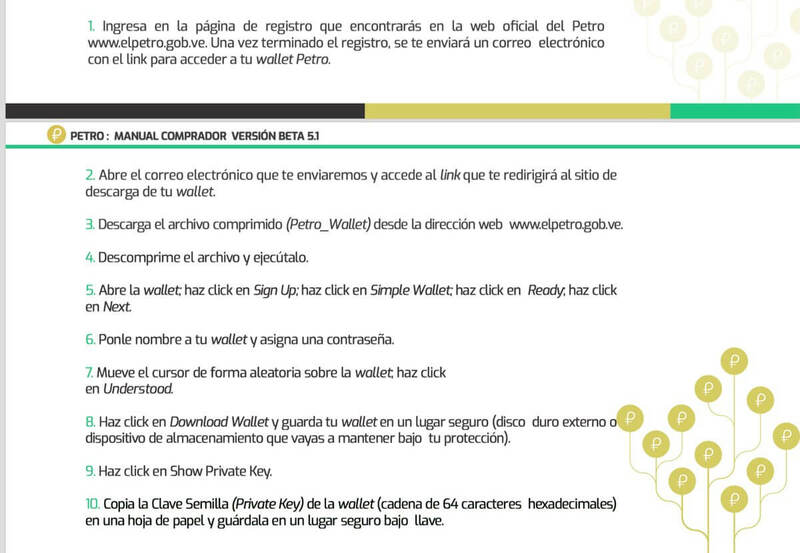 Several use cases are presented by the Petro white paper. The Petro is primarily to be used as payment for Venezuelan oil as a direct exchange, but can apparently be used to pay tax and other settlements with state bodies with a scaling discount of at least 10%. The Petro lacks any kind of technical information, providing no detail on the specifics of the Petro blockchain architecture. Moreover, the white paper makes several contradictory references and definitions that open up a variety of questions. The Petro white paper defines the token as a legal means of payment on the territory of Venezuela, which opens the question as to whether individuals or business are obligated to accept it as a medium of settlement. The value of the Petro is evidently secured by the liability of the Venezuelan government on delivering real oil dispatch, making it akin to a blockchain-equivalent gold-standard currency. This presents the question: is the Petro a currency, or an oil future? If it’s the latter, then to what degree is it legal? While the Petro is, in some regards, a potential solution to the current economic turmoil in Venezuela, the actions taken by the Venezuelan government during the development and launch process of the cryptocurrency have raised eyebrows. Notably, President Nicolás Maduro announced that the Petro had raised “$735 million” within 24 hours of the presale going live on Tuesday 20th February. This statement, however, appears completely fabricated when assessing the technical circumstances of the launch. To decipher the convoluted mess that is the Petro presale, it’s first important to understand that the Maduro administration completely changed the underlying technology that drives the Petro at the very last minute. The Petro is described in its white paper as an Ethereum-based ERC20 token but abruptly switched to NEM Mosaics. While this may account for the shift, a tweet from the NEM team denying involvement with the Venezuelan government revealed that the meeting referenced in Maduro’s tweet never happened. This is not correct. The NEM Foundation isn’t involved nor is the NEM Foundation in this photo. The Zeus team met with them and we’ve asked the editor to correct this article. The team meeting with Maduro is, in reality, representative of the Russian Exchange, Zeus. NEM has since released a public statement confirming that the Venezuelan government is intending to use the NEM blockchain but the platform itself is not involved. Those aren't reps of @NEMofficial, they are from @ExchangeZeus – a Russian based $crypto exchange that launched very recently with sketchy bank account arrangements. It is entirely independent from the $NEM devs/foundation. If you want to twitter rant, keep it factual. There is currently no explanation for the presence of these tokens on the Ethereum blockchain other than the fact that they were intended for use in the presale but have since been discarded in favor of NEM. The NEM blockchain, however, reveals that somebody — perhaps the Venezuelan government — has created a NEM address that contains 100 million “Petro”. This address holds 38,400,000 tokens — the exact amount specified as for sale during the presale. If Maduro has already secured $735 million during the first 24 hours of the Petro presale, why does the Venezuelan government apparently control 100% of the Petro in existence? Occam’s razor dictates that no such sales have occurred. The launch of the Petro itself was a train wreck, consisting primarily of a video depicting Venezuelan state officials in tracksuits signing documents. Investors interested in participating in the token sale are presented with a Spanish-only 14-step “Buying Guide” virtually impossible for a layperson to decipher. Is the Petro Even Legal? On the 21st of February, President Maduro took to state media channel VTV to announce the enforcement of “total compliance” with the launch of the Petro, ordering state-owned companies PDVSA, Pequiven and CVG to convert a percentage of their sales and purchases into Petro. State-enforced adoption does not bode well for the establishment of a decentralized currency. We’re now almost one week post-launch, and the Petro “presale” hasn’t resulted in the movement of a single token on either the Ethereum or NEM blockchain. Given the historically unreliable and dishonest nature of the current Venezuelan governmental apparatus, it’s arguable that the state is unlikely to fulfill real oil dispatch obligations when Petro tokens — if they are ever distributed — are redeemed. If the Petro is truly meant to revitalize the Venezuelan economy and benefit the Venezuelan people, then why not airdrop the total sum of all Petro across the entire country? Even in the best possible scenario, supporting the Petro crowdsale will yield no return, given that Petro tokens are failing to move days after launch. In the worst case, purchasing Petro will reinforce the position of a government culpable for multiple human rights violations and, for US-based investors, potentially result in serious legal trouble. 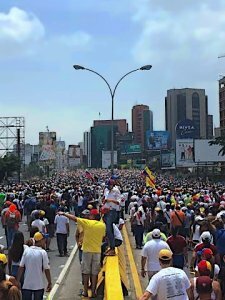 If you’re interested in supporting the development of Venezuela, there are plenty of independent aid organizations working in Venezuela that could use your help.